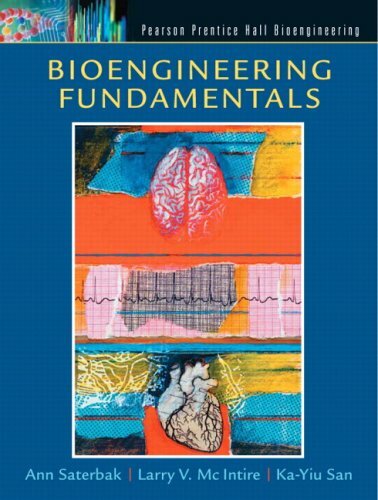 Combining engineering principles with technical rigor and a problem-solving focus, this guide takes an interdisciplinary approach to the conservation laws that form the foundation of bioengineering: mass, energy, charge, and momentum. Demonstrates how conservation laws (including conservation of mass and energy, momentum, and charge) apply to biological and medical systems to lay a foundation for beginning bioengineers. Allows readers to build a mental model of how key concepts in engineering, chemistry, and physics are interrelated. Emphasizes how accounting and conservation equations are used to derive familiar laws, such as Kirchhoff’s current and voltage laws, Newton’s laws of motions, Bernoulli’s equation, and others. Extensive examples span the breadth of modern bioengineering, including physiology, biochemistry, tissue engineering, biotechnology, and instrumentation. For anyone interested in learning more about bioengineering.